Candyce attended Augusta State University and her studies were focused on personal finance. She enjoyed the coursework and program and did very well. She graduated with her BBA in finance from Augusta State's Hull College of Business in late 2008. 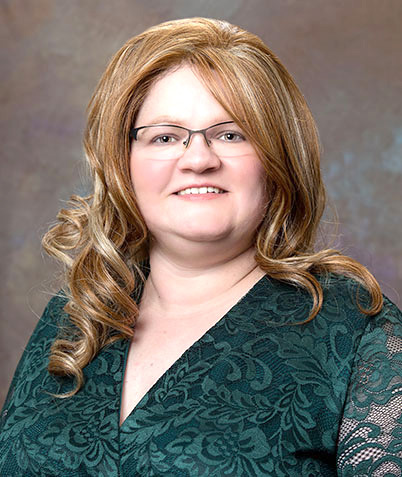 Her degree specifically prepared her for the work that she does today with The Monitor Group, Inc.
Candyce began with the firm in October 2011, after gaining valuable professional experience with other organizations. She gained valuable experience in administrative support and customer service. She has worked in various roles with The Monitor Group, Inc. and today has the title of Financial Paraplanner — offering support to Paul McNair, to the firm and to its clients. She also handles scheduling, works in meeting follow-up and implementation, works with forms and handles portfolio data and information very proficiently. And, she communicates with clients regularly. Candyce is a lifelong resident of the Augusta, Georgia area. She currently lives in Grovetown with her husband and family of cats. She has a passion for rescuing cats and cares for her cats well. Candyce also enjoys yard work and being out-and-about in the Augusta, Georgia area.